This is a set of two HPI Vintage Performance Tires, in D Compound. 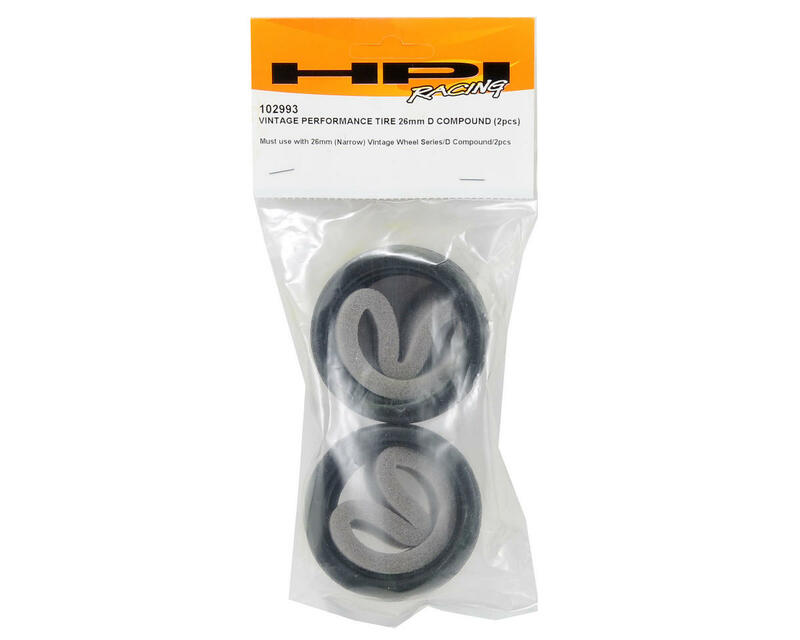 HPI Racing Vintage Performance Tires are molded from D-Compound rubber for high traction and long life on paved surfaces and are available in 26mm and 31mm widths. 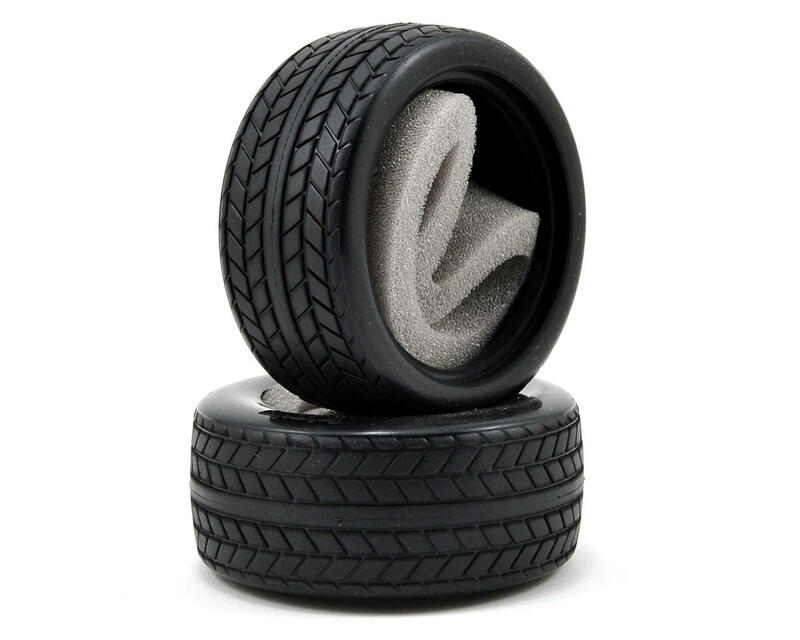 These tires have low profile tread blocks that give them performance characteristics that bridge the gap between a slick tire and a typical treaded tire. Note: Because of the special sidewall construction, these tires must be used on HPI Vintage Wheels.